Satay is a dish that originated out of Indonesia. It’s basically just marinated, skewered, grilled pieces of meat. It’s most commonly found with chicken or beef, but like Japanese yakitori, you can find all sorts of weird varieties as well if you look hard enough. This is my shrimp version. The most critical ingredient for this dish is turmeric, which gives the meat its yellow coloring. It’s somewhat hard to find but you’ll only need to get a small container, because a little bit goes a looong way. 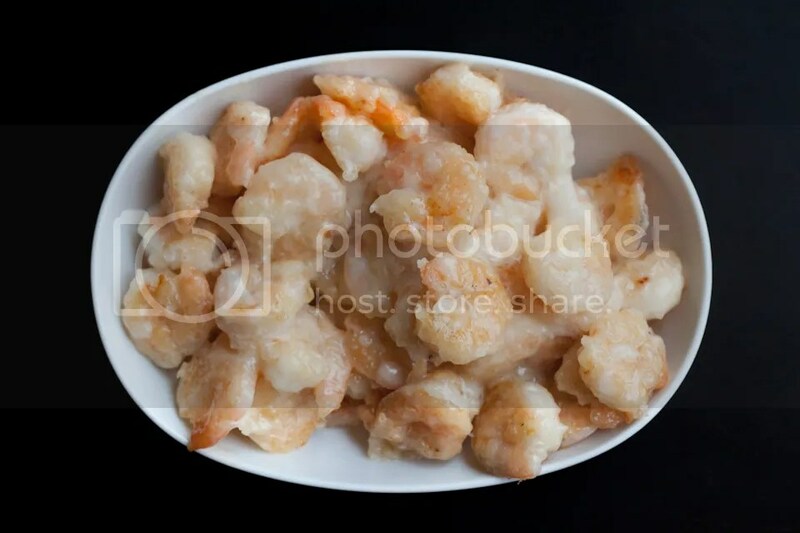 Simply put, honey walnut shrimp (hé táo xiā) is one of my favorite Chinese dishes, and one of the best ways to eat shrimp. Period. This delicate and sweet dish is definitely worth the high price you’ll usually pay for it in most Chinese restaurants, but my make-at-home recipe is both inexpensive and easy to pull off. I omitted this dish’s trademark candied walnuts because they’re chock-full of sugar, and the walnuts aren’t the same without the candy coating anyway. 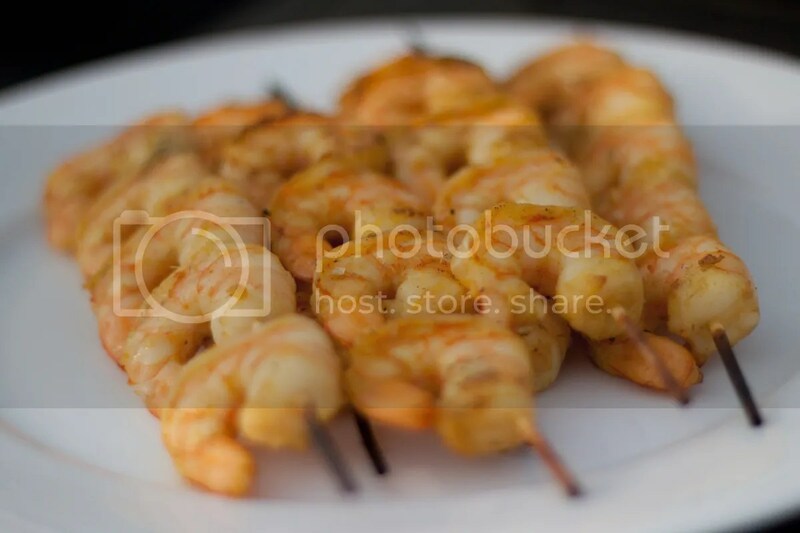 And honestly, I prefer the shrimp in its pure, unadulterated form.